Having been trained at New York City’s prestigious High School of Art and Design, Lorraine has always been interested in the graphic arts. She majored in animation and cartooning, and commercial art, but her first love was always photography and graphics. Her photography has been featured in Gold Dust Magazine, and Odyssey Journal, and in her own book of poetry, Riding the Wave. In her current series, Lorraine has combined her love of photography with her love of pen and ink illustration. Using photographs as models, she has produced life like ink illustrations in black and white, using the stippling technique. 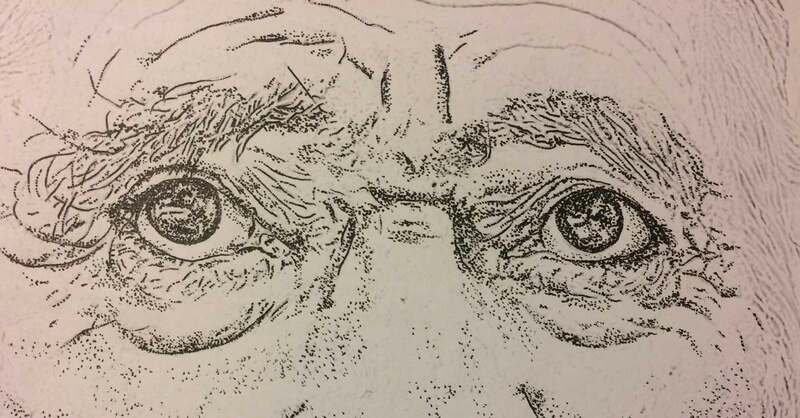 The stippling method (also known as pointillism), is a series of dots is placed strategically in patterns to form an image. When viewed from close up, the dots appear random – however when viewed at a distance they form a distinct pattern of lights and shadows, creating the details of the subject. Lorraine’s area of focus is portraiture. In this showing, Faces of Freedom, she has chosen individuals who exemplify the concept of freedom in one form or another. In addition to her work for this exhibit, she is currently working on a series of “freedom portraits”, illustrating her interpretation of the concepts of The Four Freedoms, as articulated by Franklin D. Roosevelt in 1941. These will be part of a group show including the works of other socially conscious international artists. The exhibit will travel around the country during 2018. These portraits are part of her Solo Exhibition here in the Island to Island Brewery taproom. 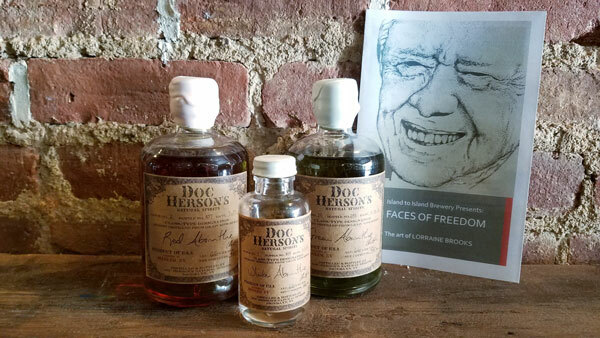 We share monthly tastings of local craft distilled spirits made here in Brooklyn or greater New York. Join us for this month’s art opening and tasting. Then come taste and learn about New York distilled spirits made with organic grains from upstate New York and 11 different botanicals, made entirely in house from fermentation to bottle, can be enjoyed simply over ice or in any of the various traditional cocktails. While enjoying the tasting browse the taproom’s latest Solo Art Exhibition by Lorraine Brooks entitled: “Four Freedoms We Should Always Fight For”. Lorraine will be available during the night for questions comments and sales of art work. Tasting and Art Show are free and open to the public! Check out #galleryat642rogers in Instagram to see past shows.